Flourishing entrepreneurial culture has posed many opportunities for tech savvy entrepreneurs. But the problem of selecting product themes remains. To make the product stand out using these single product themes for the purpose of effective branding can be quite tricky for the startups. Single product themed websites are trending these days. These themes are effective for products that don’t require too much information and focus on a single product. All these single product themes themes require a self-hosted WordPress site. Sirius Pro by Lyra Themes is a one of a kind theme. This spectacular one page WordPress business theme comes with everything you need right out of the box. The setup is extremely simple and the theme itself is readily customizable. Sirius Pro is a functional theme that can serve multiple purposes. It enables the user to create a website that is elegant and does not compromise on any professional aspect. Let’s have a look at some of its key features. Comes with a material design theme that goes hand in hand with many business brands. Offers multiple home page layouts to choose from. Display video format posts by specifying YouTube video URL. Choose color schemes from an unlimited color palette. Option for posting full posts or just the excerpt with or without an image. 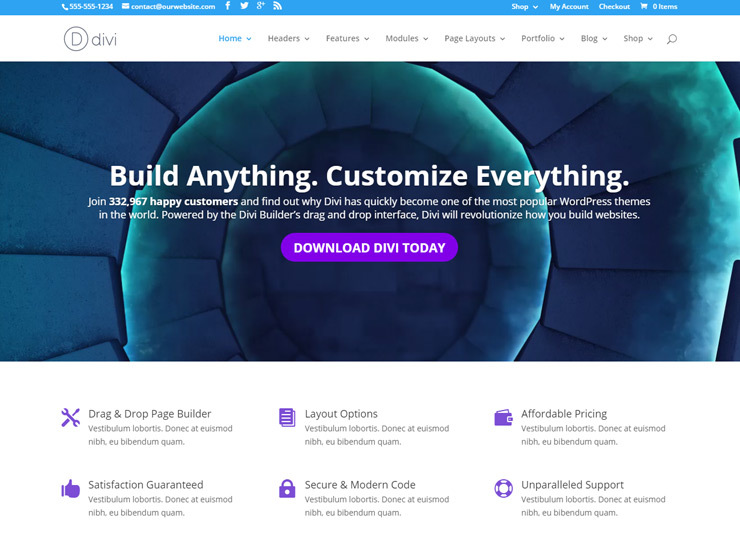 Divi 3.0 is a visual builder by Elegant Themes that is spectacular, extremely fast, and easy to use. The sheer amount of possibilities with Divi are endless; you don’t have to worry about the back-end coding to make any changes as it enables you to make all these changes in the front-end right before your very eyes. Instant designing allows you to view changes as they are being made. Add over 40 content elements. Highlight text and customize text whether it’s font colors, spacing, or applying custom CSS. Enables the users to click and type without going through any additional panels for adding content. Provides a user interface that is fully customizable. 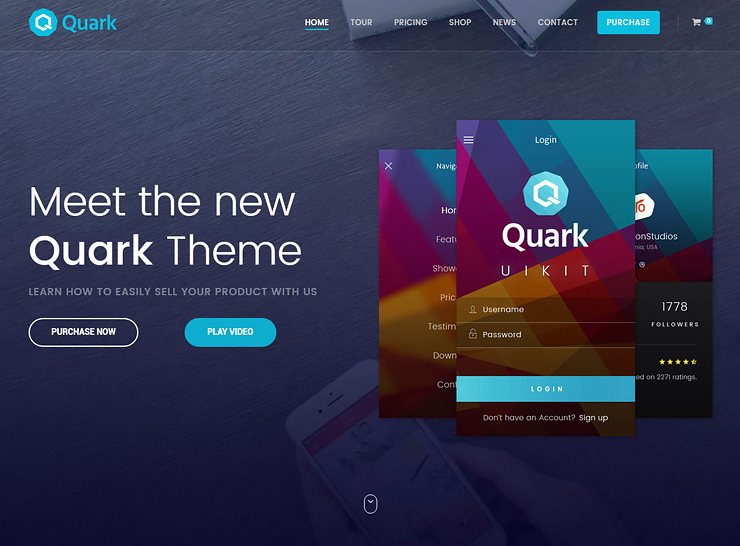 Quark by Progression Studios is a lite, single product theme, developed for small business with a fewer number of product categories. It won the best theme award in 2016 as it’s focused on selling single products or a group of products. These products can be featured with great ease and sold with the built-in eCommerce support. Quark offers a multiverse of options that you can choose from easily. Helps users feature apps or products easily. Comes with a built-in page builder which minimizes the hassle of editing content. Increases your sales conversions by managing sales with the help of built-in WooCommerce support. Easily add videos to your website. Works on all devices including mobile phones or a desktop machines. 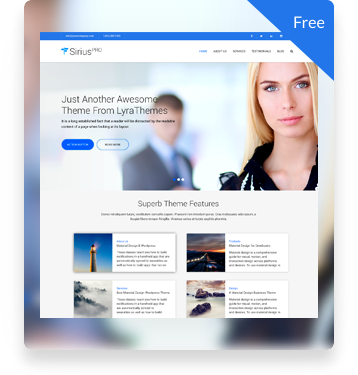 Stratus by Themovation is a top quality WordPress theme which focuses mainly on App and SaaS (Software as a service) companies, product development companies, and startups. This theme lets the users showcase the product or services in a visually appealing manner and provides them with the necessary features to make their online venture successful. 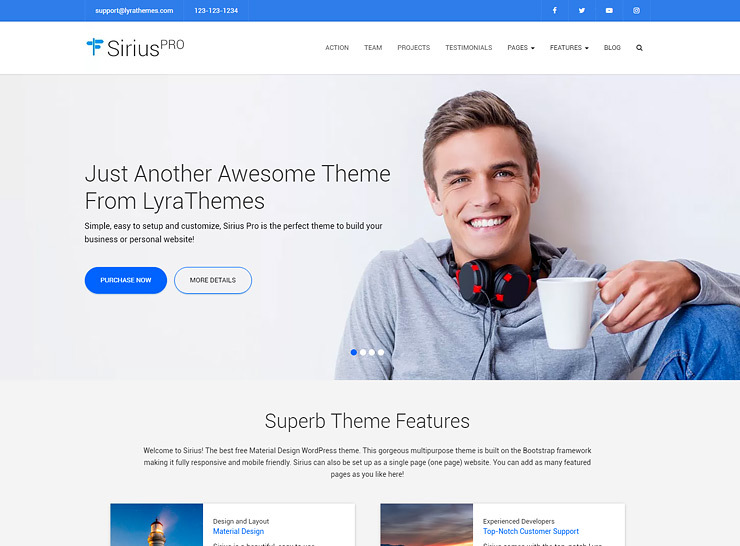 Stratus theme is a versatile theme that enables users to create multiple page websites and one-page websites depending on their requirements. Features a responsive design that looks great on all devices. Enables users to easily build pages with its built-in page builder. Provides 25 shortcodes that are based on Bootstrap. Choose from more than 700 Google fonts. Enables unlimited sidebars and widget areas. 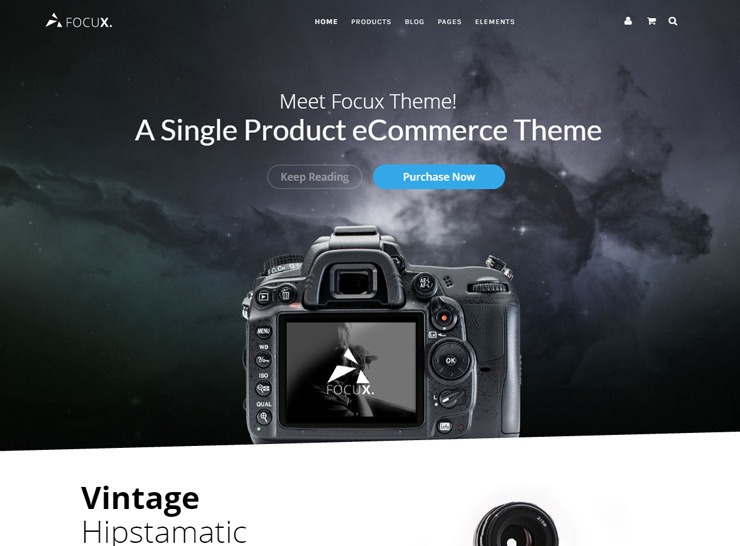 Focux by ThemeVan is a single product and a multi-purpose WordPress theme that enables users to easily develop websites for eCommerce businesses. Focux is a theme that integrates seamlessly with WooCommerce and focuses on increasing the attractiveness of the product pages. It’s built-in page builder enables users to create custom templates. Responsive page layouts that perfectly adapt to all devices and resolutions. Freely customize product page section using page builder. Optimized for faster web performance. Allows theme integration in the WordPress customizer to manage some features and sections. Agile by LiveMesh is a bold and flat theme that means business. This multi-purpose app showcase theme features a plethora of rich features as it has been used across a wide variety of domains. This theme comes with two of the most popular page builders – Visual Composer and Page Builder by SiteOrigin. The best thing about Agile is that it supports more than 50 Visual Composer add-ons and over 40 custom SiteOrigin elements and widgets. Agile has made building an awesome website as easy as drag, drop, configure, and publish. Responsive sliders for mobile phones. Advance Revolution Slider with a powerful options panel. Offers more than 70 shortcodes with visual shortcode helper for easy creation of content. Provides parallax backgrounds with customizable scroll speed. 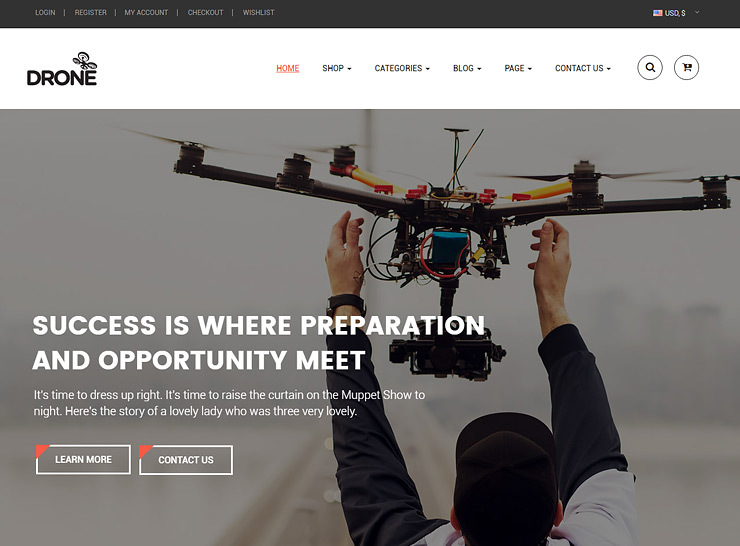 Drone by Apus Theme is another single product theme that integrates with the popular WooCommerce platform and comes with 3 pre-built sites. This theme is easy to install comes with tons of options that you can configure to create a truly custom website. If you are looking for a great deal then look no further as this theme comes with premium plugins – Visual Builder and Revolution Slider – right out of the box! Enables users to have control over site width, content area, and sidebars. Integrated with over 650 Google web fonts and more than 350 Font Awesome icons. 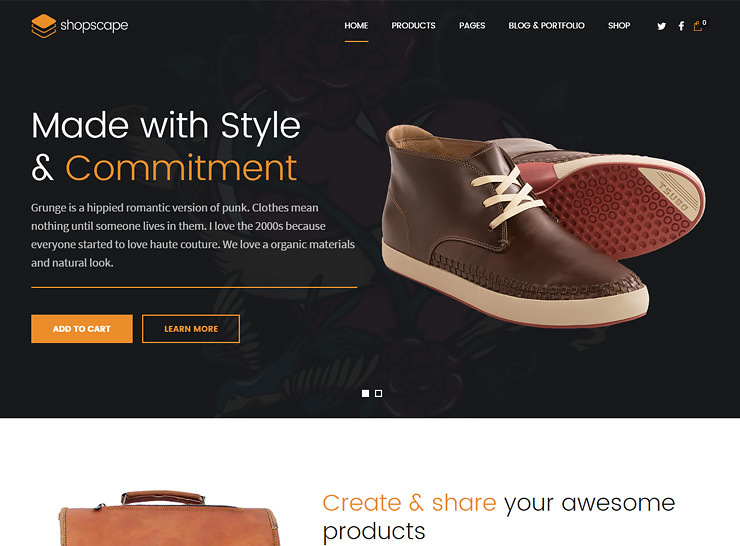 Shopscape is a multi-purpose responsive theme that focuses on single product presentation. This theme basically focuses on your online store’s presentation in which every single product can be featured individually highlighting the product features and maintaining small and medium inventories. Fully responsive on all devices and responds elegantly to different resolution sizes. Supports more than 500 Google Fonts and delicate color control can help you customize the theme as per your liking. Uses an extremely efficient page builder (Rapid Composer). Uses tailored shortcodes to display information on single products, store, and shops. Fully customizable quote calculator with tailored options. 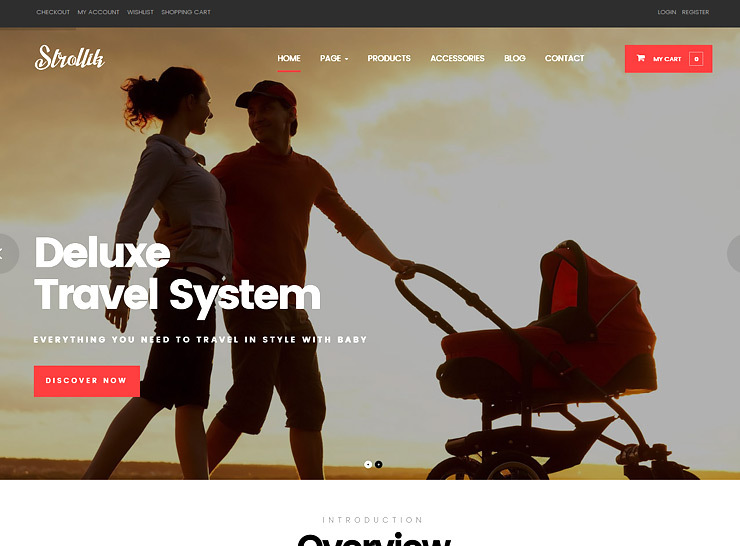 Strollik by Opal_WP is a single product theme that integrates with WooCommerce. The theme consists of incredible design concepts which allow users to showcase products in a neat and clean way. 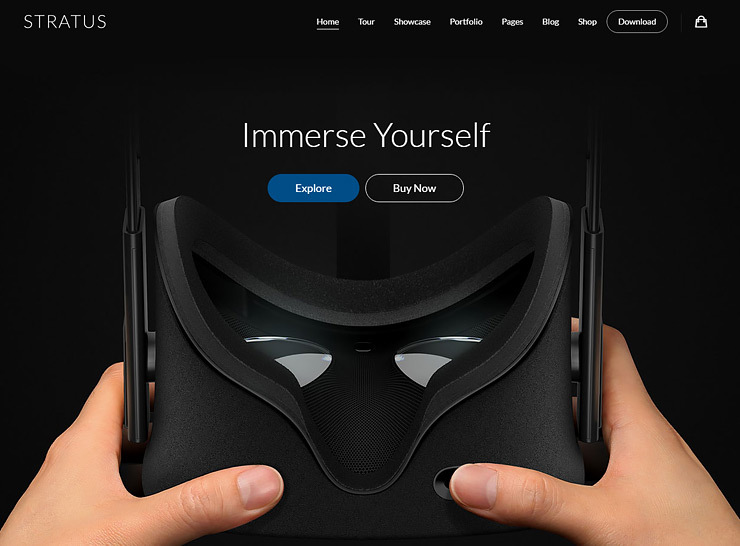 This theme also has 360 product views that transforms a simple product display into an interactive display that enables the users to showcase their products in 360 degrees. The intuitive theme control panel makes it easy to use and manage your website. 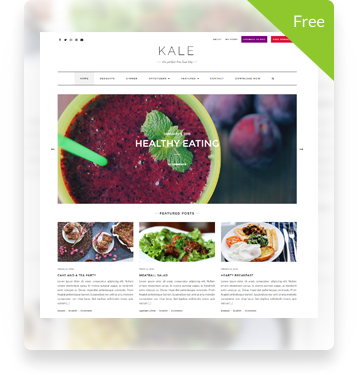 Allows users to choose from any site width and looks great on different screen sizes. Integrated review system with customizable design style. Built with the latest web technologies to make it powerful and easy to customize: Bootstrap 3, Font Awesome, HTML5, CSS3, and SASS. 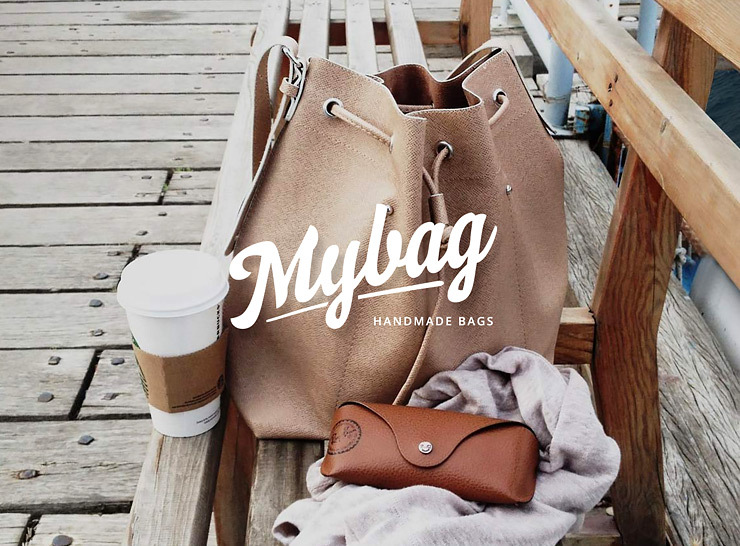 My Bag by Shakrilwan is a single product WooCoomerce-based theme that is easy to install and setup. This theme is mainly focused on making your product or brand more presentable to the buyers by presenting the history and the production process. My Bag is an ideal choice for you if you are planning on selling products like bags, t-shirts, or other single line products. 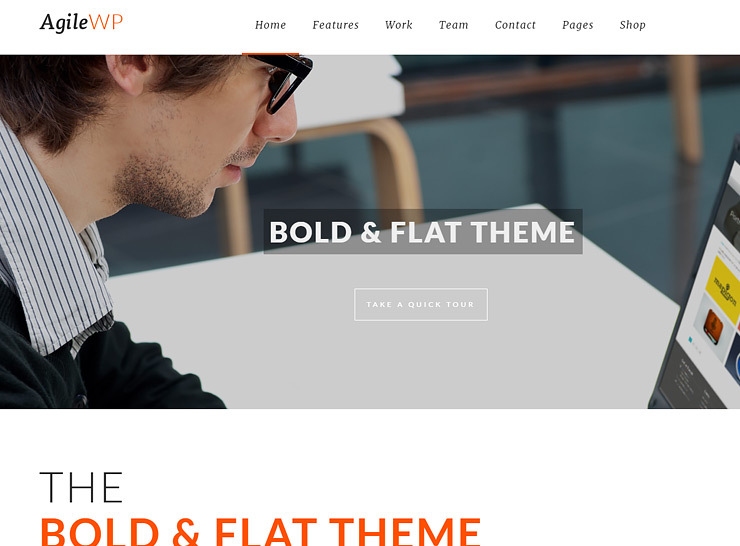 This is a developer oriented theme and due to its lean and extendible code, it is easy to increase its functionality via the child theme or custom plugins. Comes with the premium Visual Composer and Slider Maker Slider Revolution plugins. Offers video guides for beginners to help them configure and customize their new theme. Gain control over the appearance of your site using its powerful theme options panel. Offers fully responsive design that can be displayed on various screens without any glitches. Comes with bundled extensions which can increase theme functionality. AppStack by Pixel Grapes is a stunningly beautiful page builder that can be used for building landing pages or as a single page style site. 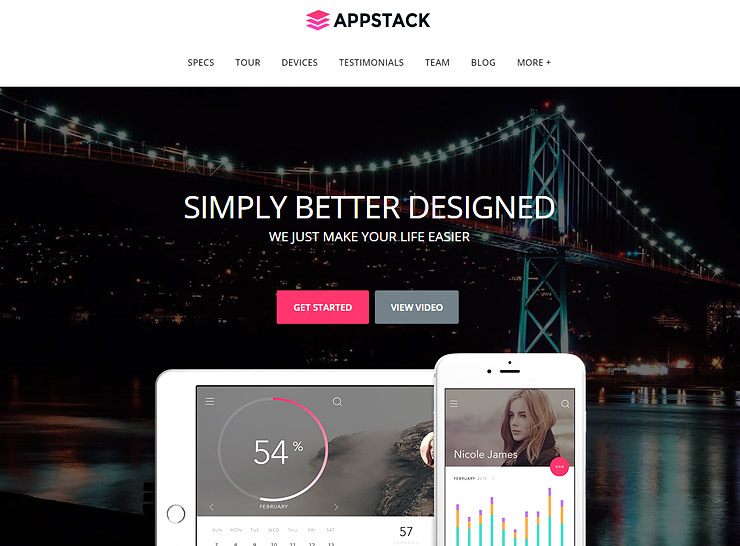 AppStack offers seamless animation and fresh designs that are integrated with perfection. It can be used for many different types of products as it offers a wide array of options that make it a perfect fit for just about any niche. Fully responsive theme looks incredible over any screen. Translation ready from the get-go. Offers full documentation and a support forum. 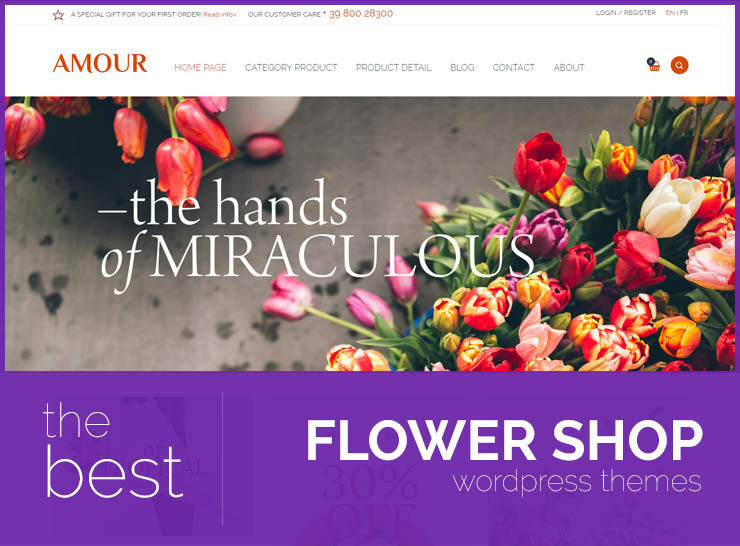 We present some of the most beautiful, featured packed WooCommerce enabled themes perfect for flower shops and florists. These themes are specifically designed for creating online flower stores or a website for your brick and mortar flower shop. 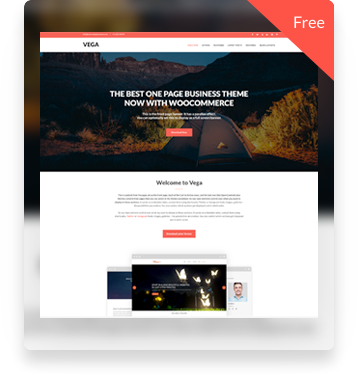 The very best of the free WooCommerce themes in the market that are well maintained and professionally designed. Get your online store off the ground if you’re just starting out and want to get your feet wet without spending a lot. 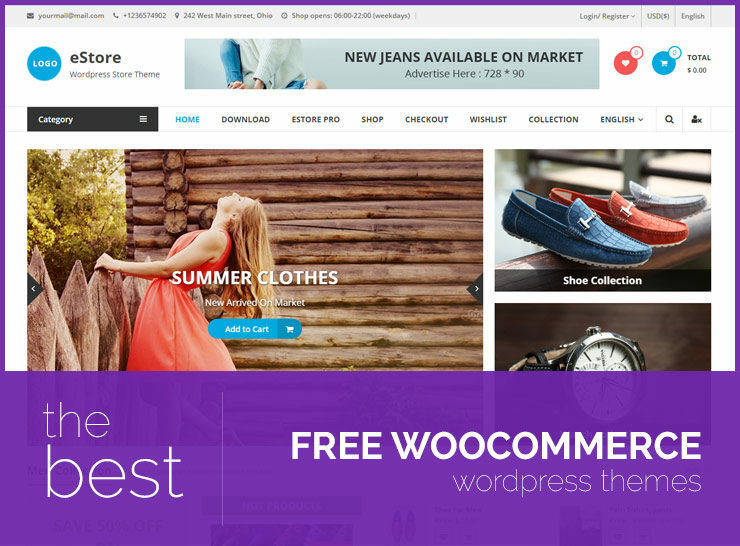 Create an eCommerce store in minutes with these free WooCommerce WordPress themes.